The world’s largest fitness network ClassPass is officially launching in the capital this month, and offering free classes to those who sign up now. ClassPass – available on the App Store and Google Play Store – enables you to book fitness classes from a range of participating fitness studios in the UAE’s capital all on one platform. 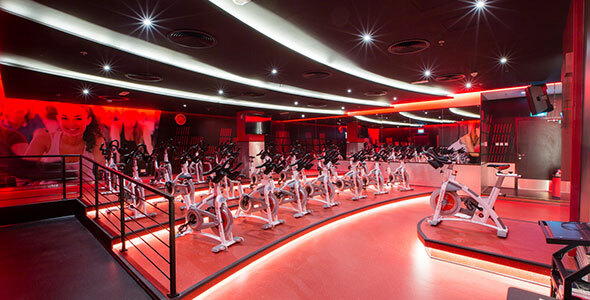 You can use it to book classes like yoga, cycling, Pilates, barre, running, strength training, dance and more at participating fitness studios in the capital such as Fitness First, Body Tree, The Room, Punch, and The Hot House – all with the click of a button. The app also provides extra info such as duration of the class, number of calories you will burn, the location of the studio, reviews, and how you should prepare for the session. Best of all, you’ll be able to log into the app and use it in any participating cities affiliated with ClassPass. It’s simple. The app works using credits. Once you sign up to the app, you’ll receive 75 credits that you can use when making a booking at any of participating gyms within two weeks. The credit usage depends on what activity you book for as well as the time of the class, studio, location, popularity, and other factors. For a limited time, beginning March 20, 2019 you can workout for free with a one month trial that can be redeemed at www.classpass.com/try/abu-dhabi. The offer is available for a limited time, so book now. We’ll see you at class.